Waterfalls are one of the most requested features for backyard, garden and ornamental ponds. There are many reasons for this; not only do waterfall features add aesthetic beauty, realism and a pleasing sound to a pond, but they also provide a convenient source of recirculation and disturbance to keep the water oxygenated and prevent it from becoming stagnant. 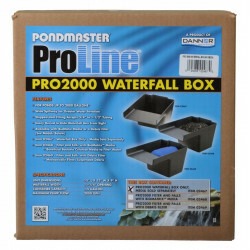 Waterfall kits for ponds contain everything you need to install your very own beautiful waterfall. Among our waterfall kits, you'll find combination filter and waterfalls, which provide dual purposes for the health of your pond water. 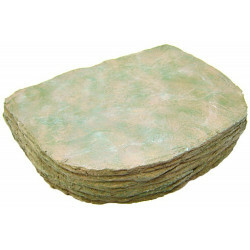 By running the waterfall flow through a biological filter, you remove harmful toxins and the biological sources of algae from the water before returning it to your pond body. Installation and setup is easy and simple, and our prices are better than you'll find anywhere.